Photographer Harvey Vang raised required sum of money to publish book From Darkroom to Daylight, that explores historical development of photography. 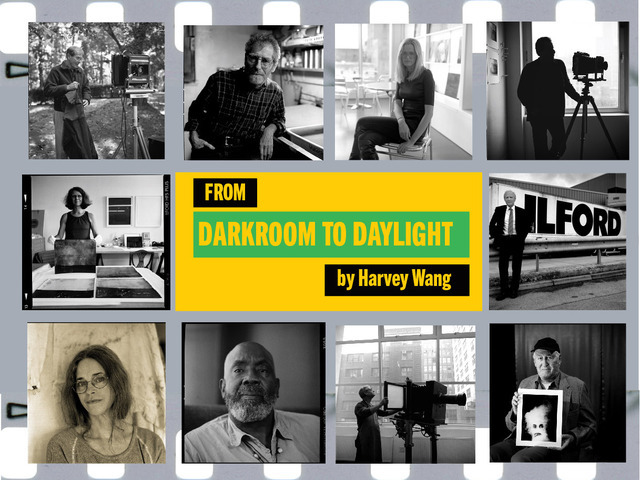 Photographer, film director and cameraman Harvey Vang managed to raise $20,769 (over required $18,000) through Kickstarter for his project From Darkroom to Daylight, which includes a book and a documentary about historical progress of photography. In 2008 Vang began working on his book From Darkroom to Daylight, a project that explores the epic changes in photography from the mix of silver and chemicals to the combination of pixels, chips and computer screens. Vang traveled all over America, interviewed photographers, the inventor of the first digital camera, the creator of Photoshop and many others, in order to find out how the transition from film to digital imaging affected photography. The project expanded: along with the writing of the book, work on the documentary had begun. Company Kickstarter became the last step to collect funds that were necessary for bringing the multimedia project to life. Earlier, the Alfred Sloan Fund, Adobe and the Center of Artistic Photography offered financial support for it. Publishing of book From Darkroom to Daylight is scheduled for spring 2015, the documentary has already been filmed and awaits the finishing touches.